Update October 5th @troublejee sent me this extremely graphic video of the remains of the pilot, or possibly pilots. Currently it's unclear if this is related to the capture of an air defense base in the same area. 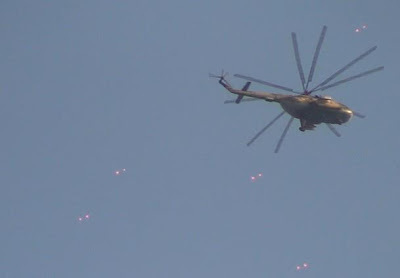 I think the fourth clip down shows a ZPU-1 14.5mm AAA gun - they claim that is the unit that hot the helo.